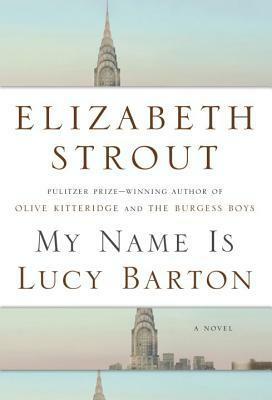 I recently encountered a great character study, My Name is Lucy Barton by Elizabeth Strout. This was a beautiful book, and I loved the character of Lucy Barton. When we meet her, she is recovering from complications from a recent surgery on her appendix. (Fun fact about me: one of my greatest fears is appendicitis!) While she’s recovering, her estranged mother comes to her side. Throughout this short novel, we learn a lot about the past and how discovering the past can change the future. The family secrets and the odd mother/daughter relationship made this one very intriguing, compelling literary novel. While it is certainly character-driven, it was also remarkably fast-faced. My only criticism is that I wanted more when I reached the end. Good news! Her new book coming out in April tells more about some of the other characters from this book. I haven’t read it yet, but am looking forward to it. Oh great! I’ll look forward to that.